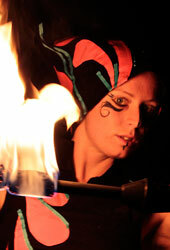 Fire Performance, Circus Artists and Entertainment! 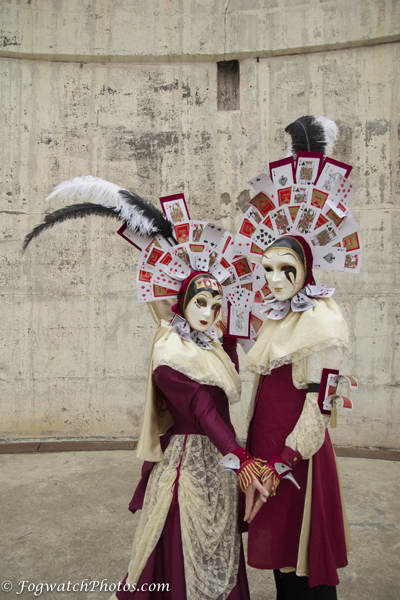 The troupe is based out of Perth in Australia. We travel for most of our shows and have performed in Hong Kong, Singapore, New Zealand, USA, Finland, Denmark, and all over the UK. 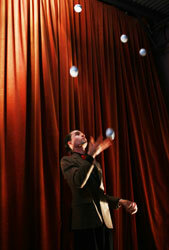 Please feel free to contact us regarding performing at your event. Email us with a show request. 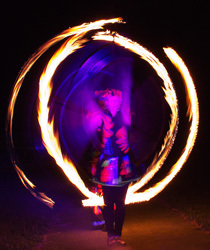 As well as having full length shows, Will-o'-the-Wisp have a range of individual and roving performers to hire for events, parties and festivals. 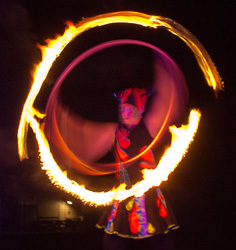 This includes fire hula hoopers, trapeze artists, poi spinners, glow / UV circus artists, and stilt dancers. Will-o'-the-Wisp have an extremely high emphasis on fire safety. For any information on our fire safety in performance, or a copy of our public liability certificate of currency, please don't hesitate to contact us. NEW! 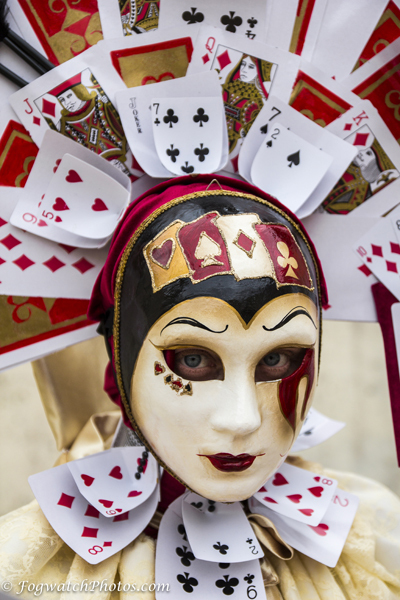 - Premium range Stilt Characters! 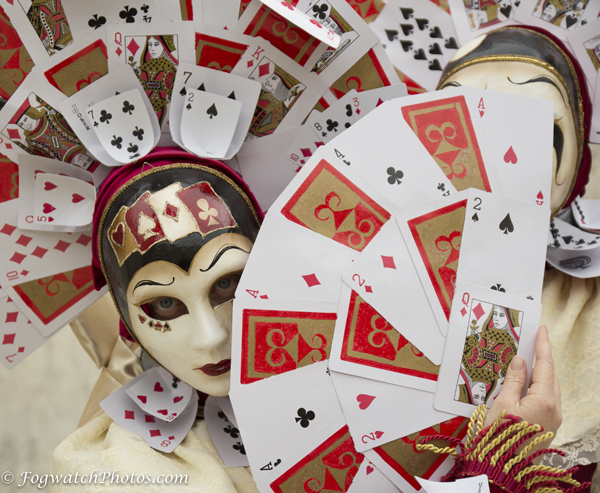 Introducing the larger than life Oracles of Chance. 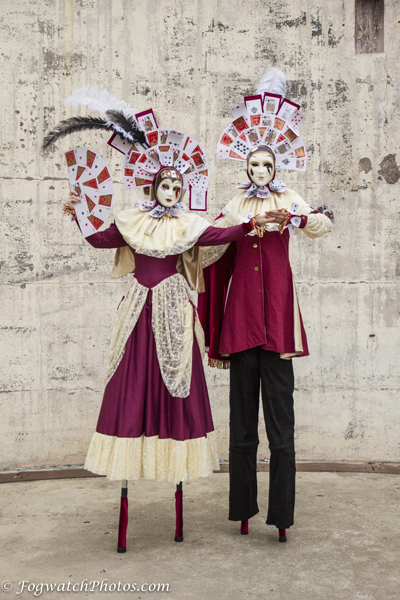 These stilt walkers are the masters of the card house, tellers of fortune and present the wonder and mystery of the mask. 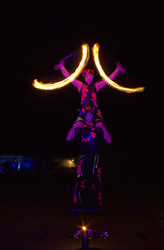 The characters are elegant, intricate and bring a unique spark of magic and class to every event. Email us for a full info pack! 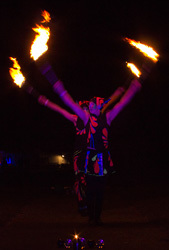 The sparking new fire show from Will-o'-the-Wisp! 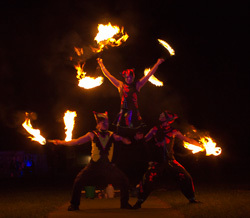 ..Not to give away too many spoilers, but this show is a duet or trio performance with all new routines from some of Australia's most talented fire performers. 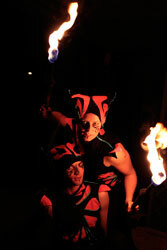 The show follows a theme of new beginnings with explorations of the phoenix legend. This is show a fire ceremony to honor change and to welcome in wishes and dreams for the future. 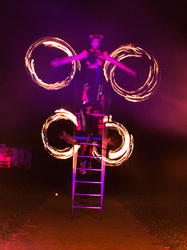 More photos from our recent show at Glastonbury Arts Festival (UK) to be seen in the photo gallery! Email us for booking info.. Photos from our shows at Glastonbury Arts Festival now online here! In the legends and folk tales, the Will-o'-the-wisps were mischievous sprites attempting to lead townsfolk away on an enchanted journey. Travelers would follow the lights through the darkness and be shown amazing and mysterious things..The Will o' the wisp would appear as a ghostly light seen at twilight hovering over damp ground or in forests. 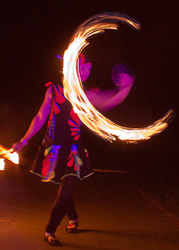 Will-o'-the-wisp - the fire circus play with these ideas by planting little fire spirits around events. 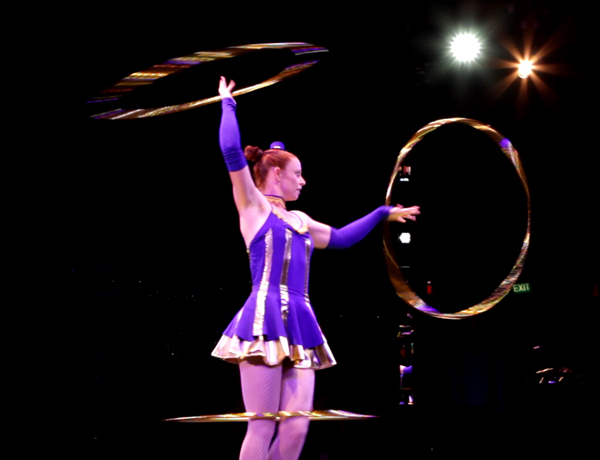 We invite you to follow the lights..
Hula hoop routines for corporate events, cruise ships, festivals and private functions. 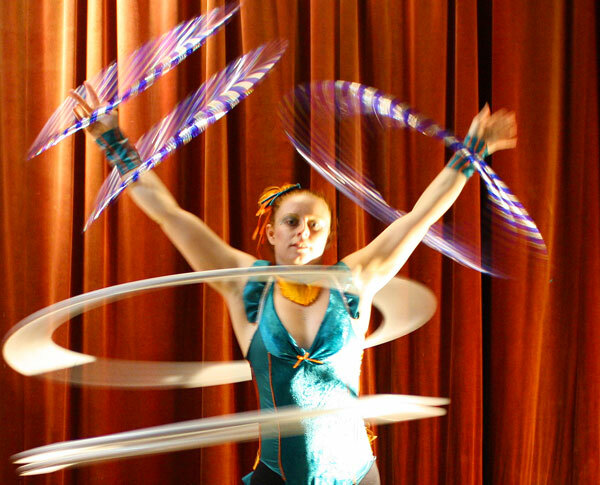 Add a touch of the circus with our highly skilled hoopers.. 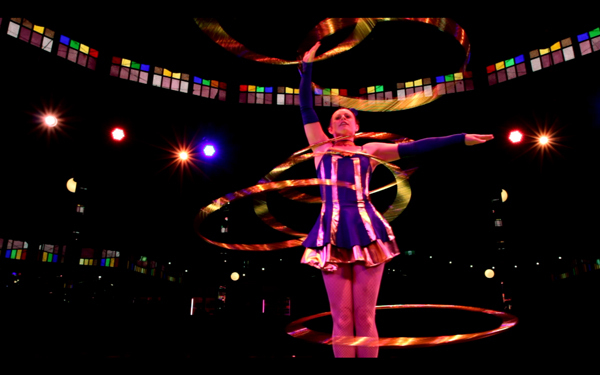 The spectacular circus acts of Lukey Luck and Evie Mischievie.